Coastal Pro 2 hovercraft wins 2015 Tech Innovation award! 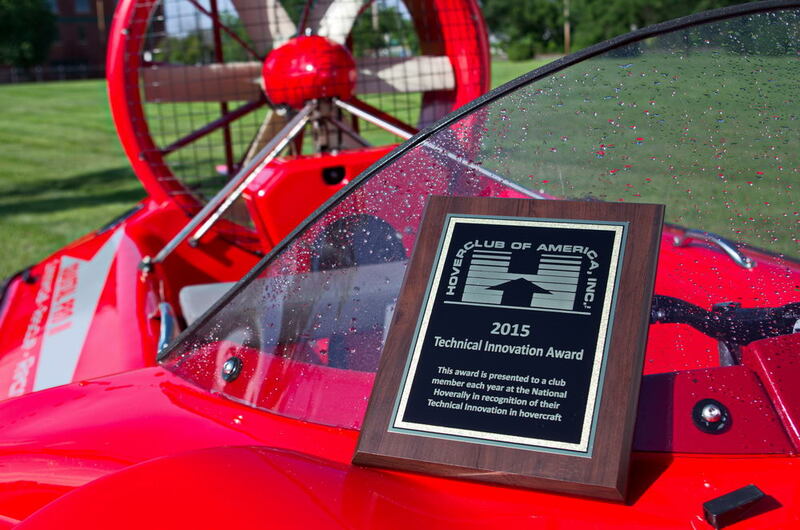 Hoverstream is very proud to announce that we have won the Hoverclub of America, Inc.‘s Technical Innovation award for 2015. This prestigious award is given only once per year and represents a significant achievement in hovercraft technology. The reason for all this excitement is the unique enclosed lift system on our new Coastal Pro 2 model. Together with our friends at The British Hovercraft Company, we have achieved an unprecedented level of noise reduction for a twin engine hovercraft as well as increased system reliability a greater level of safety. If you’d like to study the finer details of this innovative new hovercraft, take a look a the PDF link below.